Pro Evolution Soccer (PES) is by far my favourite football game, especially PES 2012. I don’t know why most people like FIFA so much. PES 2012 has many different modes such as Exhibition, Champions League, Become a Legend, Master League, Extra Content, and many more. Master League is a mode where you are the Manager of a team. Become a Legend is where you are just one player as you go on your career. Currently the app I use most on my iPod Touch is “The Football App”. It has the most interesting information: recent news, video clips, up to date results and tables. And for live matches, there’s a ticker showing you everything that is happening (great if you can’t watch the match). 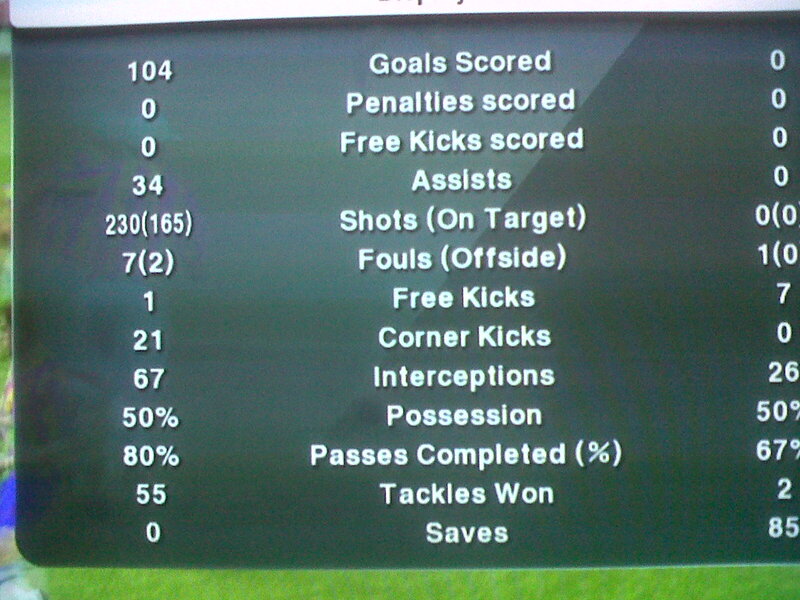 The number 1 game I play at the moment is PES 2012 (I just started playing PES2013 demo – it’s really good). I also play football with my dad in the garden as often as possible. So, overall I know a lot about football now and it’s my favourite pastime. 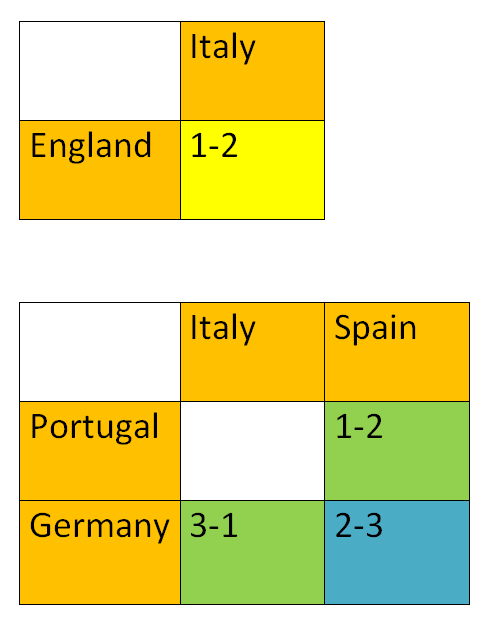 I was thinking about which world league is the best. National teams are the best players from that country, club teams are the best players that the team has bought, why not have league teams which would have the best players from that league? My main reason I would like this is because leagues like Liga BBVA have Messi and Ronaldo but they’re from different countries and different clubs. What if they played in the same team? Did you notice my nickname for Fabregas? It’s PrinCesc Fabregas. This is because in PES 2012 the commentator trying to say, “It’s Cesc Fabregas”, sounds like he is saying “Princess Fabregas”. 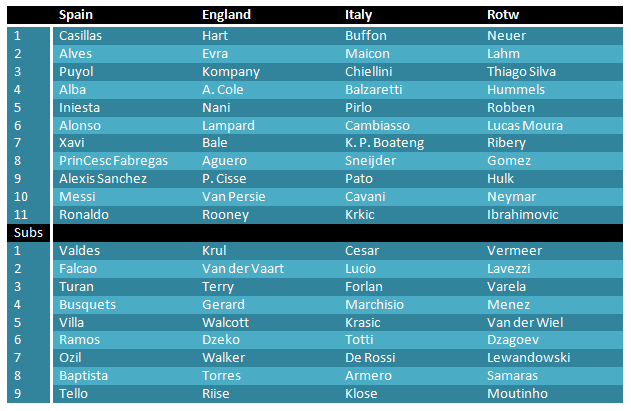 I think Spain would win because they have some of the best players in the world. Obviously Messi gets the Golden Boot with a brilliant average of 2 goals a game. This is what he has already got in this season’s Spanish league. Also, Ronaldo is not in such good form at the moment (he hasn’t scored in 2 games and Madrid have 1 point out of 6). Otherwise he’d be 2nd. I wonder if this tournament would ever take place. I really hope it does. It’d be as exciting as the World Cup. Recently I’ve been watching the Euros. It is the first tournament where I’ve actually watched full matches. Lots of matches have had amazing goals, especially long range shots. There’s been no 0-0 draws either, it’s been very exciting. I have been playing SWOS a lot lately. But I have to wait till Dad is back from work which is ages of waiting because he has it on his computer only. When I get my own laptop I will definitely get SWOS on Windows and Linux. I started with a career in India with the team Border Security. This was so easy and I could only stay in India and job offers never came from other places. Next I did a career in Italy. Starting with Fiorentina. Making them bankrupt, then taking a job offer from Juventus. Here I did very well and left the team with over 20 million. I then went to Parma and did very well and now have about 45 million pounds. I saved this so that I could keep playing it but also took a job offer from Arsenal and saved that in a new file. At Arsenal I have done the best possible. I won the quadruple (Premier League, FA Cup, league cup and European Cup). And I did it twice in a row. While still making lots of money. The best players I have owned so far are: Peter Beardsley, Ravanelli, Bergkamp, Ian Wright, Vialli and Zola. Strikers gain the most in value. 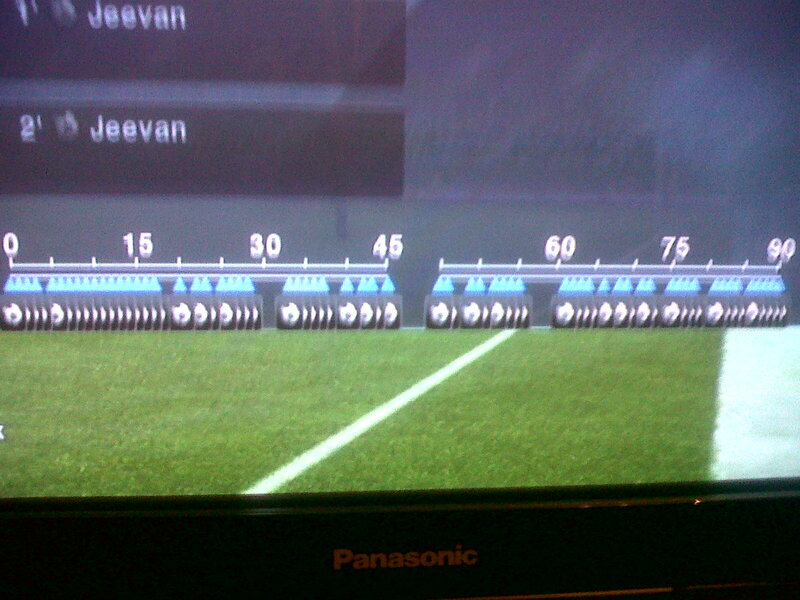 My Dad showed me how to edit the tactics to get everyone in the team happy. The tactics I now use are S433 which means super 433. All my players have a tick and the team has a flashing tick with these tactics. You can use my careers and tactics if you like. To show you the career and tactic files, WordPress wouldn’t let me upload the zip files. So my Dad suggested that we rename the zip files to something that WordPress allows. 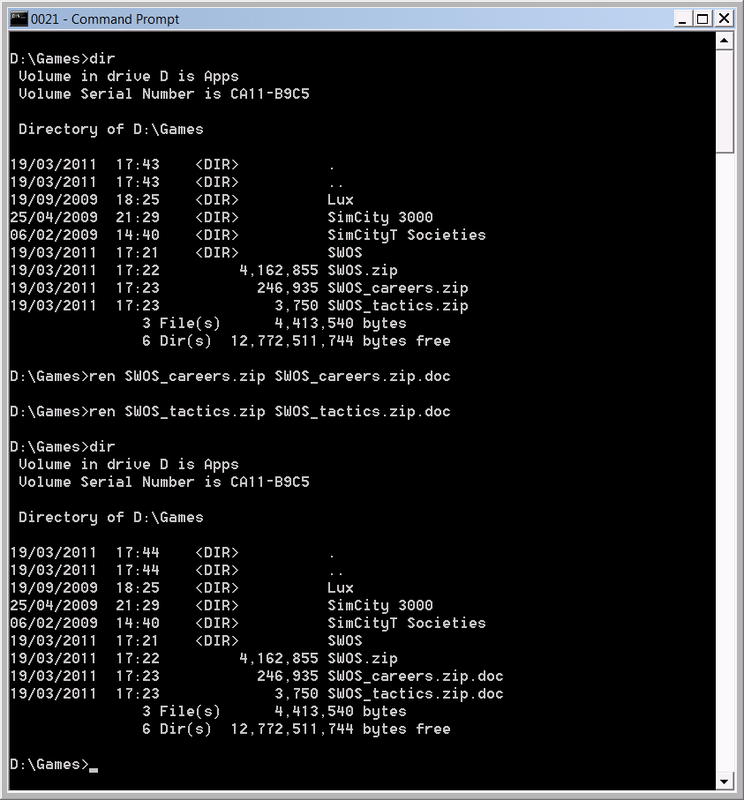 The screenshot below shows the renaming to doc files. Please comment if you like my tactics or careers. Or you can share your ones with me as well. I cannot believe how such an old game is so good. If you still haven’t got it then get you need to get dosbox and then get the game from here (look for this file “PC (DOS) – SWOS v1.0 (95/96) » Download ZIP (3.757 kB)”). When my Dad was looking for the link where he originally got the game from we discovered that we were playing SWOS 1.0 and that there are later versions like SWOS 96-97 also available. I am downloading it now and will try this version out and let you know if it is better.